Can support up to 2TB 2000GB SATA HDD 2.5″ and 3.5″. Play the games you own with quick loading times – using fast SATA interface. 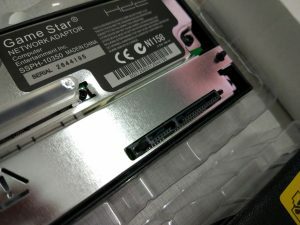 This is a SATA network adapter for the PS2 PlayStation 2 console, it will allow you to connect a SATA HDD, 2.5″ or 3.5″ in varies capacity: 40GB, 80GB, 120GB, 160GB, 320GB, 500GB,750GB,1TB, 1.5TB, 2TB of numerous brands, such as Toshiba, Maxtor, Western Digital, Seagate and more.